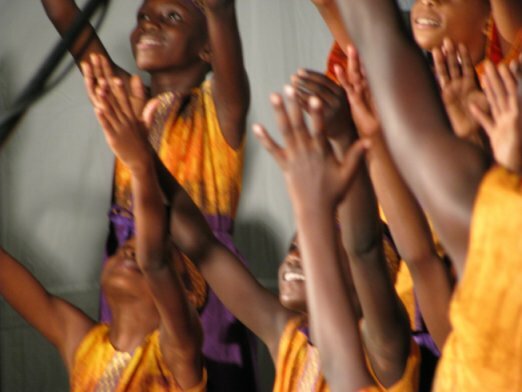 African Children’s Choir: Lift Your Spirits! Everyone should see and hear the African Children’s Choir sing! Seeing them is not just entertainment; it is a rejuvenating experience. These amazing and energetic kids transmitted their joy and vitality to us, from the moment they danced onstage last night to the rhythm of their drums. One of the concert organizers introduced them by saying, “Don’t be stiff New Englanders! Don’t feel the need to stay in your seats when they sing.” We were a little stiff–there was no dancing in the aisles, but everyone was smiling, applauding, and cheering wildly. We were deeply moved by these kids and by their music, much of which was spiritual in nature. As powerful as their music is the story behind the choir. These children, only 7 to 10 years old, have suffered much trauma in their young lives. Most have lost one or both parents to AIDS or other diseases, or warfare in their country, Uganda. Most have lived in poverty that we can scarcely imagine. 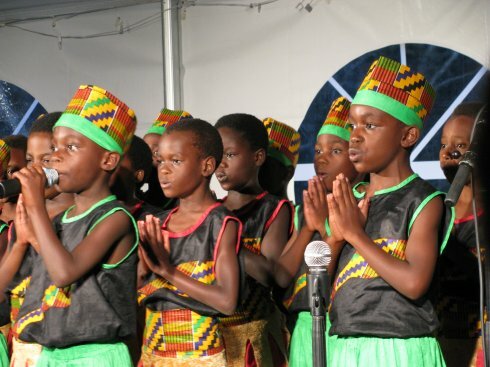 The African Children’s Choir gives these kids a chance at life. Once they are selected and serve in the choir for a year, performing throughout the U.S., they are given free education through college, and over the 24-year history of the choir, children have grown up to become doctors, lawyers, engineers, and, yes, sometimes, musicians. The money they earn touring throughout the U.S. not only pays for their educations, but also for thousands more children in the countries of Uganda, Rwanda, South Africa, Ghana, Sudan, Nigeria, and Kenya. The choir was organized by Ray Barnett, who was trying to raise money to help children in Uganda. People were becoming numb to all the requests for aid and all the photos of starving African children. He met a small boy who sang despite his hardships, and realized that music could truly be healing–not only to the children and the people who heard the singing, but it could help raise money. And, even more importantly, the choir could show the world the true potential and spirit of the children of Africa. It’s a wonderful idea. And it seems to be working well. 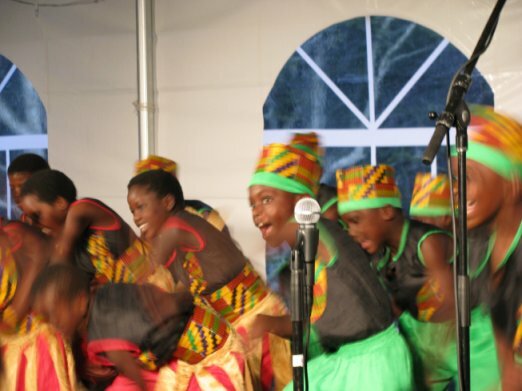 There are actually several African Children’s Choirs at any one time, one performing on the east coast, one on the west coast, and one in Canada. The more the better. A regular dose of these kids would lift a lot of spirits!